The boosting of US missile defense potential in Asia and the Pacific undermines the existing global security balance, the Russian Foreign Ministry said after it was announced that Washington intends to place missile defense systems in South Korea. “From the very beginning of the discussion of this issue we have consistently and invariably pointed at the most dangerous consequences of such a decision and called for our partners not to make this wrong choice. Unfortunately, our calls have remained unheard,” reads a Foreign Ministry statement released Friday. Russian diplomats noted that the increase in the Asia-Pacific segment of the global missile defense system by the United States and its allies would undermine the existing strategic balance both in the region and beyond. “Such actions, regardless of the arguments they are backed with, have the most negative effect on global strategic stability, the adherence to which is such a favored topic of discussions in Washington,” the statement reads. The ministry also warned that the US steps threaten to increase regional tensions and create additional barriers to the peaceful settlement of the conflict between North and South Korea and nuclear disarmament on the Korean peninsula. 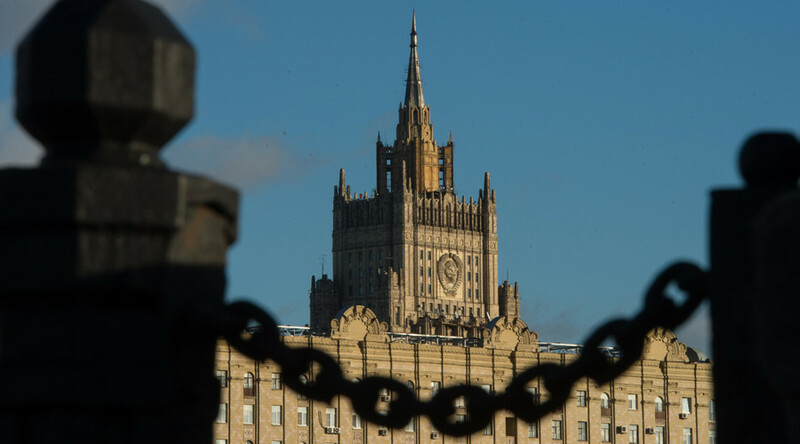 The Russian diplomats concluded by expressing hope that the United States and South Korea would once again consider all factors behind the decision and abstain from potentially dangerous actions. Earlier on Friday, the South Korean Ministry of Defense announced that Seoul and Washington had reached an agreement to put a high-tech THAAD missile defense system in South Korea amid growing nuclear and missile threats from the North. According to South Korea’s Yonhap news agency, the system is expected to be in operation by the end of 2017. THAAD – Terminal High Altitude Area Defense – is an advanced system designed to intercept short, medium, and intermediate-range ballistic missiles during their terminal phase of flight. Equipped with a long-range radar, THAAD is believed to be capable of intercepting Pyongyang’s intermediate-range ballistic missiles. The announcement has also drawn criticism from Beijing. China's Foreign Ministry said on Friday the system would destabilize the security balance in the region without doing anything to end the North's nuclear program. "China strongly urges the United States and South Korea to stop the deployment process of the THAAD anti-missile system, not take any steps to complicate the regional situation and do nothing to harm China's strategic security interests," it said in a statement on its website.